Hollister's Ostomy products division wanted to create a site specific to the needs of it's audience. Part of this challenge was to establish a brand for this informational resource tool aimed at ostomy patients and their caregivers. 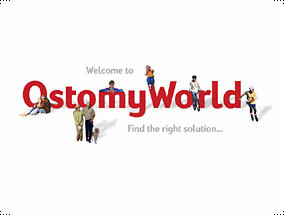 A brand was created which conveyed the essence that ostomy patients, are still able to enjoy active lifestyles. The brand which was created for this informational site was later carried over into marketing pieces for the Hollister division.